Have you heard? A study has shown that 70% of children are at an increased risk of hearing loss due to the use of personal listening devices. What better way for your child to pass the time in the doctor’s waiting room than by plugging their headphones into thier iPad and listening to some tunes? However, to keep our kids from having to make future visits to the audiologist’s office, we need to take action now, while they’re young, to protect their hearing. 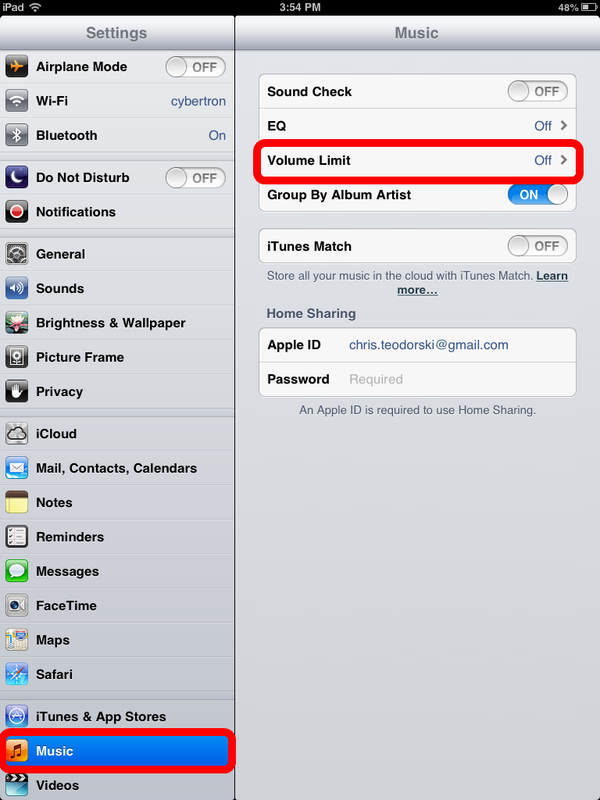 One way to do this is to set an upper limit for headphone music volume on the family’s iPad. Tap Music on left side. 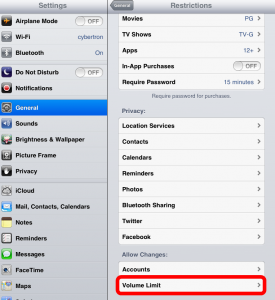 Tap Volume Limit on right side. 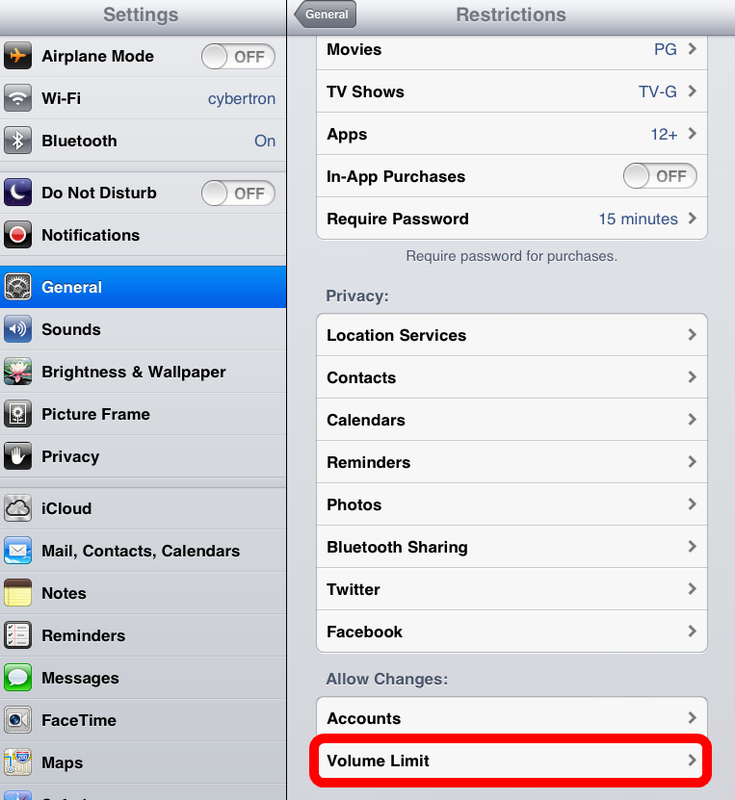 Slide bar to desired volume setting. To prevent your child from increasing the volume, you can lock the setting with a passcode. Tap General on left side. 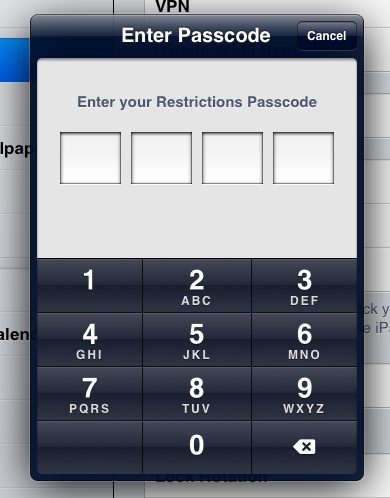 Tap Restrictions on right side and enter passcode. Scroll down and tap Volume Limit. 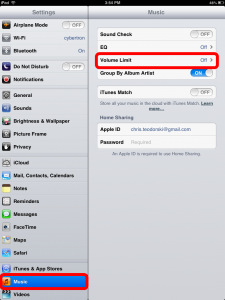 Note that these settings only apply to headphone usage when listening to music. 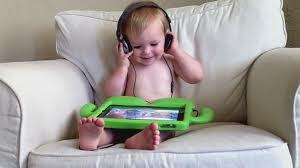 For all other apps, be sure to talk to your children about healthy headphone habits.